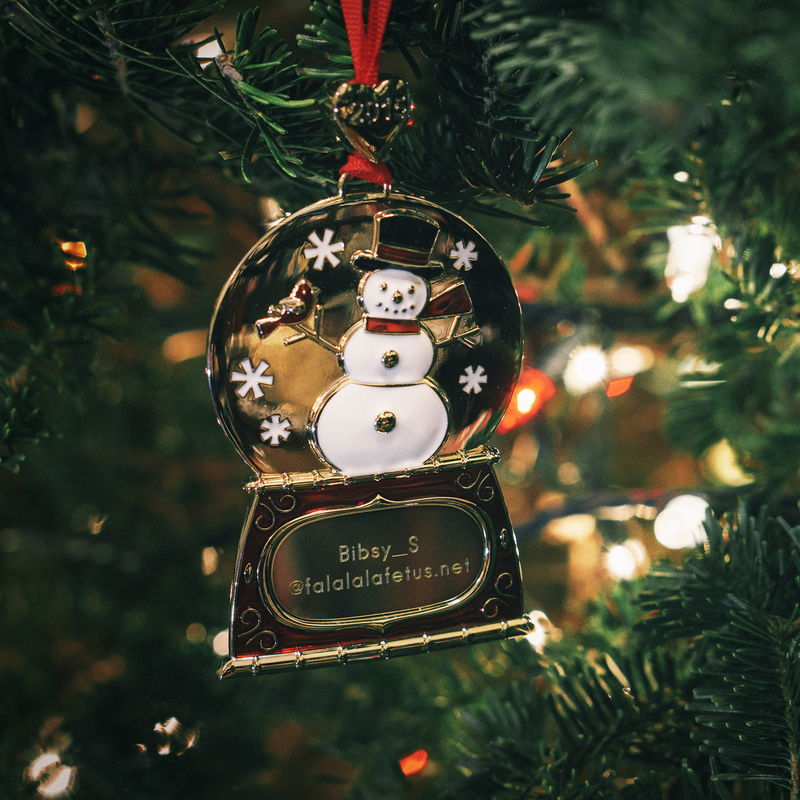 A Christmas Tree Ornament Is Worth A Thousand Words From an undeliverable prenatal email address to an F2 tornado, every Christmas tree ornament tells a story. Kaitlin Stevenson of Wilmington, Mass. This year a very special ornament adorns our tree. The backstory: Last Christmas I was pregnant with our son, whom we gave the nickname 'Bibsy,' before sharing the name we had chosen. My father-in-law began including him in family emails, with a made up email address: Bibsy_S@falalalafetus.net (hoping it would not be actually sent to anyone). It turned into a family joke through the holidays. For Christmas, my mother-in-law got us a snowman ornament engraved with 'Bibsy's' email address. The email address remains undeliverable, but the sentiment and humor will be on our tree forever! Joan Bowen of Wichita, Kan.
My younger brother Jim passed away 26 years ago at the age of 14. 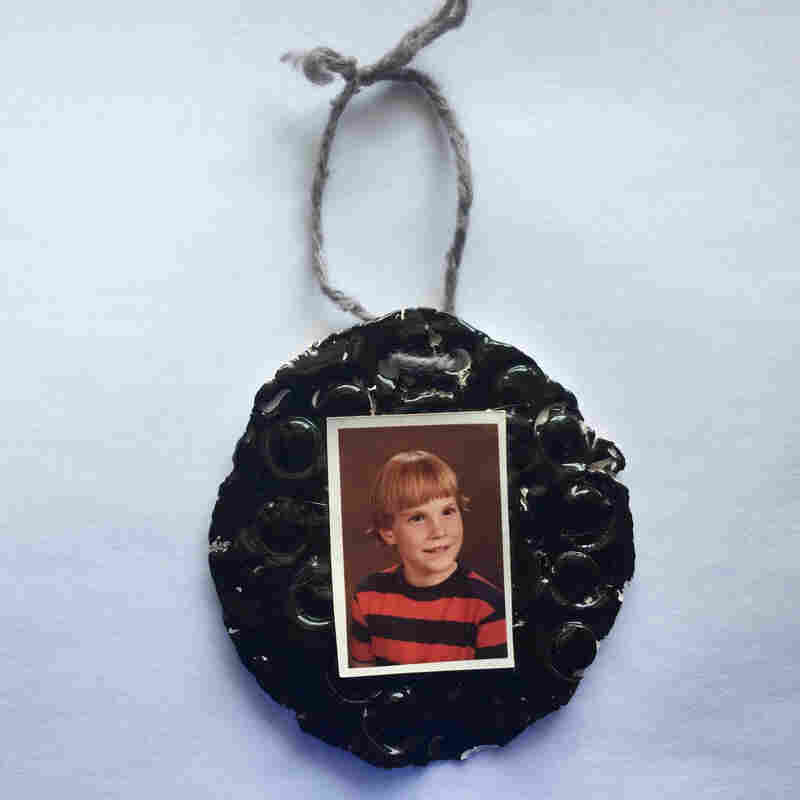 When Jim was in kindergarten or first grade, he made this Christmas ornament. Except for the picture, I always thought it was the ugliest Christmas ornament ever. Who makes a black Christmas ornament? I would see this ugly ornament hanging in the front of our Christmas tree, and I would move it to the back. Then, my brother would come along, see that it was moved, find it and move it back to the front of the tree again. We were constantly at war over this, and I teased him all of the time about his ugly Christmas ornament. After he passed away, my Mom gave me this ornament on the condition that whenever I put up a tree, I would always hang it in the front. I have kept my promise. Cindy Hornberger of Lawrence, Kan.
My aunt Carol made each of us an ornament every year with our name on it. 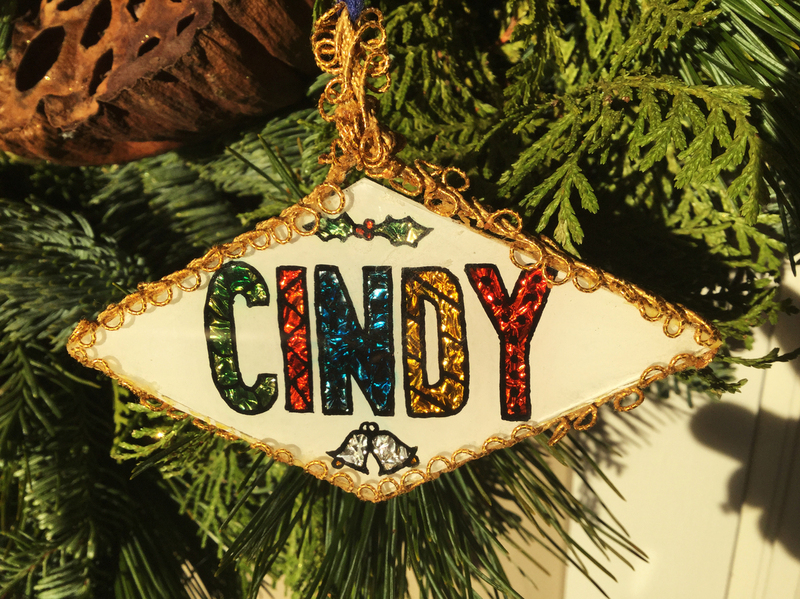 My favorite was an acrylic Mrs. Santa sledding that had my name, 'Cindy,' on the back side. As I began my married life with my husband, Steve, I looked forward to having my own tree with family treasures such as Mrs. Santa. But this plan was abruptly changed in the summer of our first year of marriage. In June 1981, an F2 tornado completely destroyed our home. Over the next six months, we rebuilt our house and learned quickly that material things weren't all that important. What we missed were the sentimental things, including those ornaments. So imagine my surprise when one day the doorbell rang, and a woman stood at my door with a shoe box. She asked me if my name was Cindy, and I said yes. She opened the box, and there were our ornaments! It turns out the box of ornaments had been taken up by the tornado and then landed in her yard. I don't know the name of this wonderful person, but, every year, when I put this ornament on the tree, I remember my wonderful aunt Carol and appreciate how lucky Steve and I were, then and now. Barbara Reist Dillon of Stevens, Pa.
As an estates attorney, I am sometimes called on to settle an estate for someone who has no family: no spouse, no children, no siblings — they are literally the last in their line. Several years ago I had one such estate. The decedent was an elderly gentleman who had lived with his sister who had died a few months prior. As the executor, it was my job to dispose of his personal property which, as is typical in Lancaster County, Pa., was done with a public auction. There is always a slight tinge of melancholy about such an auction: here are the items of a person's life laid out on tables or tossed together in a "box lot" sold to the highest bidder. In this case it was especially so: the gentleman had a keen interest in photography and automobiles and antiques. His home was immaculately neat, his treasures beautifully displayed, books and magazines and manuals carefully stored in files — and now, out it all went. When the auction was over, there was a pile on the home's back porch of things that didn't sell — the "free pile" that the auctioneers would send to the dump if no one took it. In walking by, a box of Christmas ornaments caught my eye. Almost all of them were broken, but two were not. 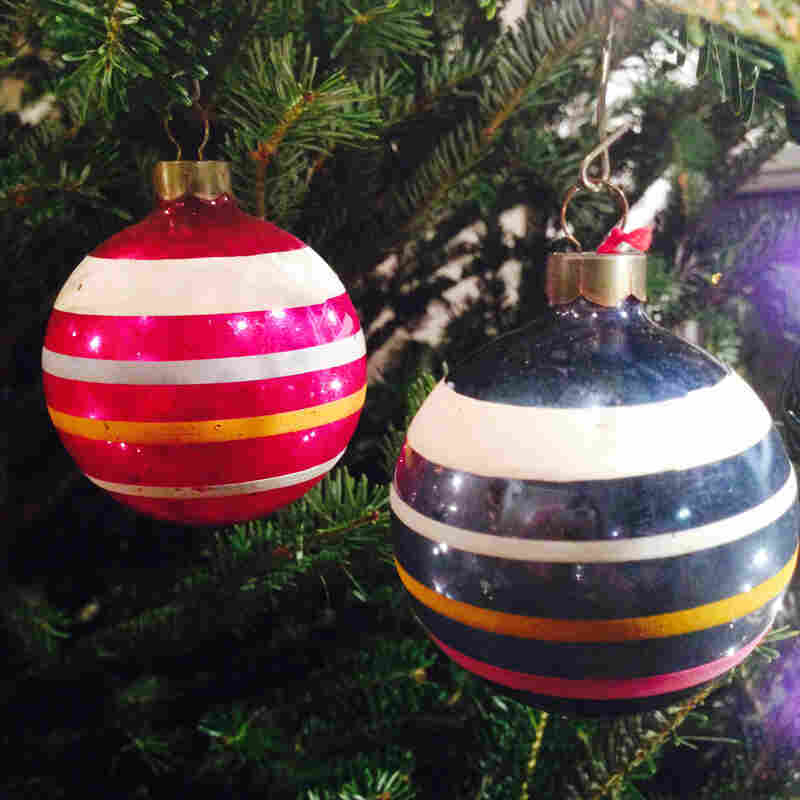 They were simple striped balls — one blue, one pink — and I put them in my pocket. I have strong belief that people are only truly gone when we no longer think about them. My deceased client and his sister had no one to remember them, but every Christmas, when I hang those simple ornaments on my tree, they become part of my family's celebration and are not forgotten. Israel Morales of Corrales, N.M. This is the year that my daughter came out as a proud young lesbian. 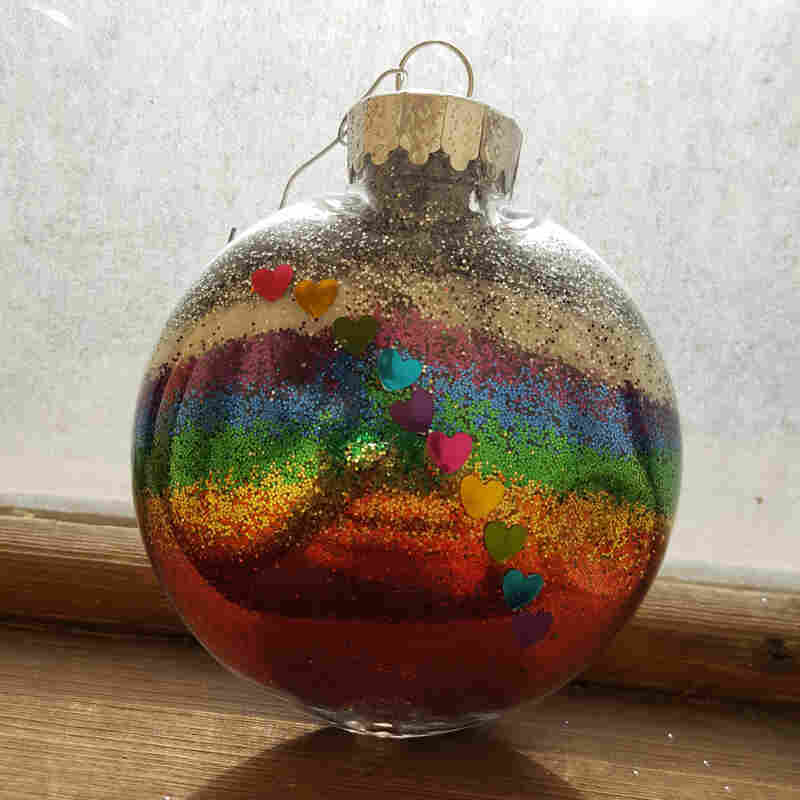 So, to mark the occasion, we decided to go shopping for a rainbow ornament. Sadly, we couldn't find any locally, so we went to Michaels craft store and picked up some supplies. She made herself one to mark the special occasion.